Private 5 Acre Lot, Rolling Front Yard and Tree Lined Rear. 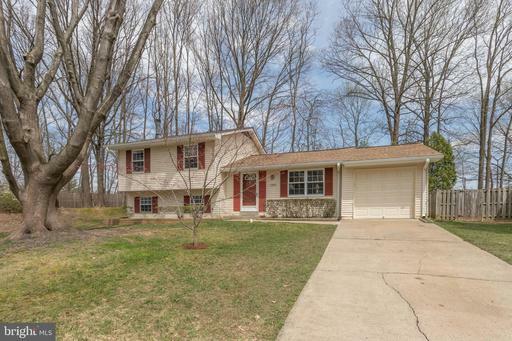 4 Bedroom Rambler with 3 Full Updated Baths. New Windows Throughout! Updated Kitchen with New Granite, Stainless Appliances. New Lighting and New Flooring Throughout. Wood Burning Fireplace in Living Room. New Flooring and Ceiling Fans in all Main Floor rooms. Lower Level boasts Bedroom, Full Bath, Recreation Room with Wood Stove and Full Walkout. Plenty of Storage too! 2 Sheds, Deck, Fenced Area of Yard is great for children or pets. NO HOA! Beautiful Lot, must see! Commutors Dream! 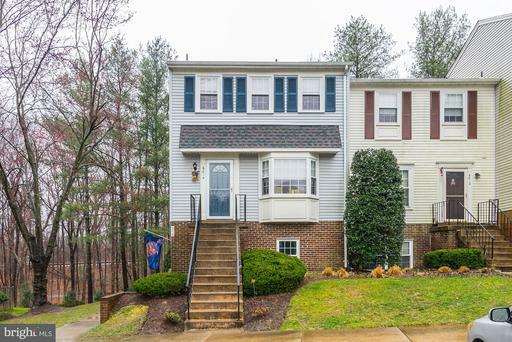 Conveniently located near VRE station and major roads. 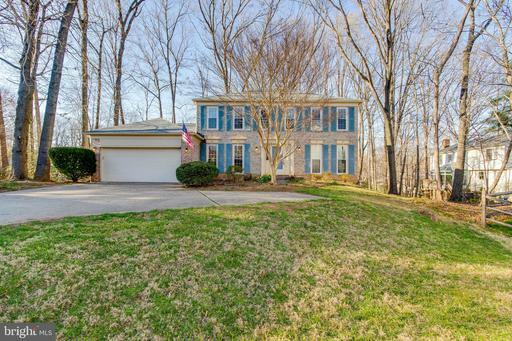 Open inside floor plan with wonderfully coated deck backing private woods at Culdesac lot. Nicely updated with hardwood floors , new paint all level, and nice open kitchen with granite counter top and stainless steel appliances. New windows in the whole house. 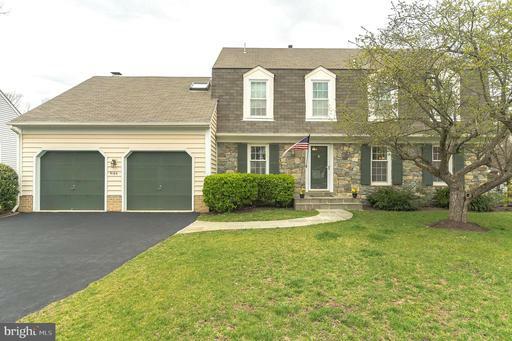 Full finished walk-out basement with a bright shiny bedroom and a full bath. Must See Inside. Thanks for showing. Located on a large lot in Kings Park West, this bright and airy 4 bedroom, 2.5 bath home is the perfect mix of convenience and natural beauty. 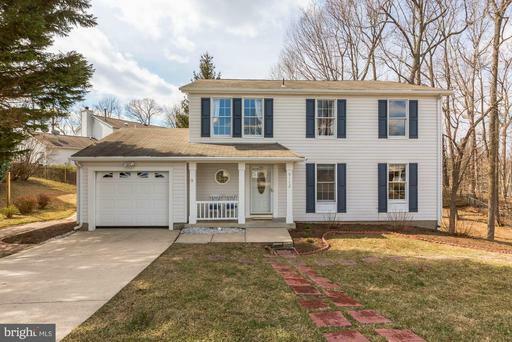 This upgraded home boasts an expanded/remodeled kitchen, formal dining room, finished screen room, large deck, and finished basement. The upper level includes three bedrooms and a full bath, and a master bedroom and master bathroom. This home has one of the largest landscaped lots in Kings Park West, and is only a block away from Royal Lake. Other highlights include a new roof, new windows including extra-large bay window, new siding, Carrier deluxe HVAC with humidifier and WiFi thermostat 2014, full masonry fireplace in the basement, and natural gas lines to the fireplace in the living room and to the deck for a gas grill. 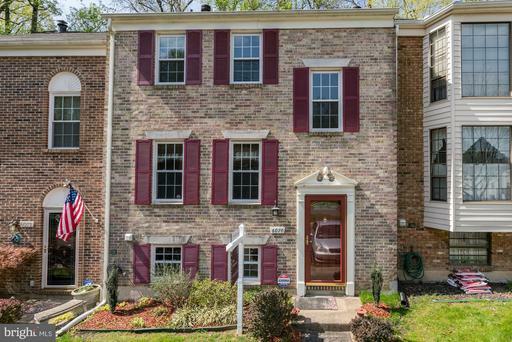 Very short distance to Metro bus express to Pentagon, minutes to VRE stations Burke and Rolling Road. 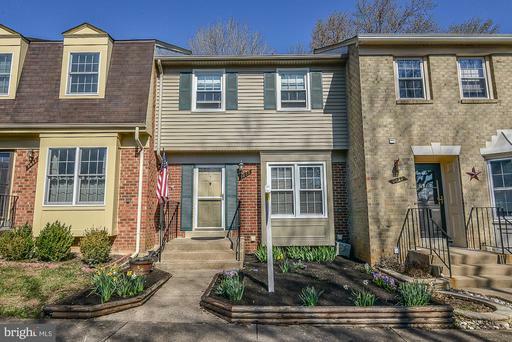 Gorgeous townhouse on the heart of Burke "Lake Braddock Community", just remodeled 2019, new roof, new double pane windows "Energy Efficient", new hardwood floors main level, new carpet, new kitchen, quartz counter tops, new cabinets, new stainless steel appliances, new bathrooms, fresh paint, this property will not last long. Basement fully finish walkout door, bonus room for office or gym, also space for a bedroom if you need to.2 assigned parking spots plus 1 visitor. Open house Saturday 13 and Sunday 14 from 10:00 am to 2:00 pm. Please remove your shoes or wear booties provided. A FIVE STAR PROPERTY! Private scenic views from every picture window of this custom brick colonial home nestled on five acres with a circular driveway, side-load two car garage, six stall barn, and multiple fenced paddocks. A naturalized setting offers an ease of lifestyle with the pleasure of country living. Outdoor living spaces abound with a covered porch, master bedroom balcony, two-tiered deck, slate patio off of lower level, and huge barn with water and electricity for horses or hobbies. Even consider the rental income from the stables, as this is a grand feature to enjoy. The interior welcomes with a two story bright foyer, two walk in closets, and the beginning of two levels of beautiful hardwood floors. 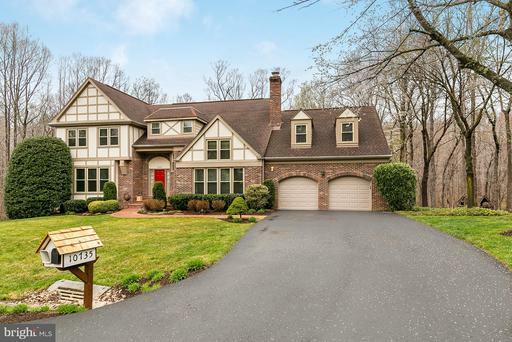 The traditional floor plan of living room, with two sets of French doors, and formal dining room divided, surprises you with a dramatic family room with fireplace, skylights, bump out, and wet bar opening to the renovated chefs kitchen with eat in area. 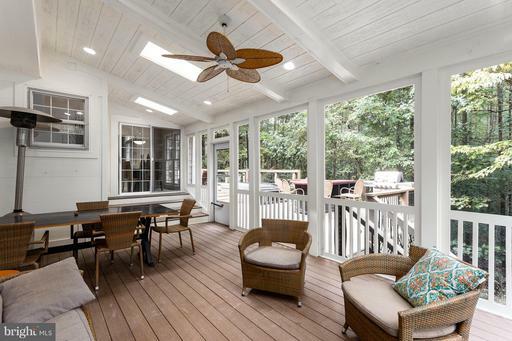 A covered porch is accessed from the living room double doors and the family room, offering great social flow for entertaining. Large laundry room off kitchen doubles as a mudroom, pantry, and project space. The grand upper level landing presents new hardwood floors thru out and four oversized bedrooms with lovely views. Updated bathrooms enjoy double sinks and luxury features. The bright lower level has a huge game room, bonus room, storage room, and a full spacious spa-like bathroom with sauna. Entirely all freshly painted. Fountainhead Regional State Park is within walking distance with hiking and horseback riding trails, also offering canoeing and kayaking on the Occoquan Reservoir. 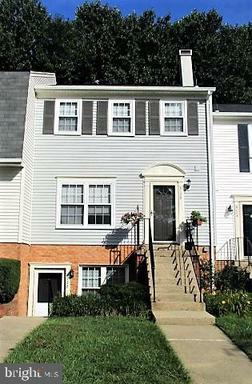 Short distance to the Springfield Metro, Tysons area, and Burke. Robinson School Pyramid. 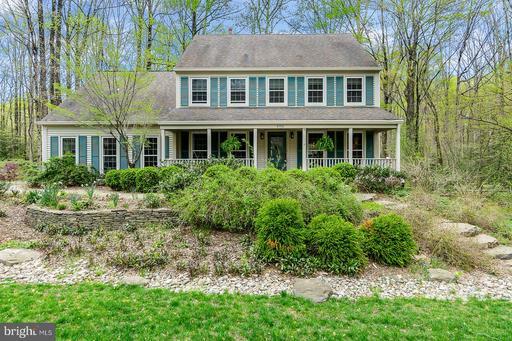 Located in the beautiful Wildwood Hill Estates, this 4 bedrooms, 4.5 bath home is surrounded by natural beauty; and situated on a quiet cul de sac. The formal living room and dining room on the main floor lead to the beautiful kitchen island and a breakfast area. A gourmet kitchen with sub-zero/ wolf appliances, granite counter tops, and tumbled marble backsplash. Right off of the kitchen is the great room that features a grand brick fireplace with high ceilings, new large windows 2019, and built-in speakers. 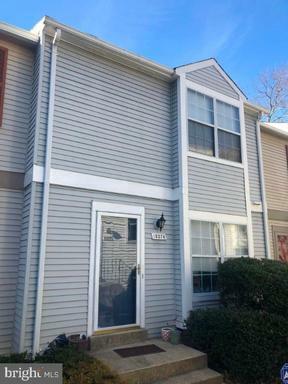 Upstairs are 3 bedrooms and a spacious master suite complete with a renovated ensuite bathroom with a roomy standing shower, jacuzzi tub, and custom walk-in closet. 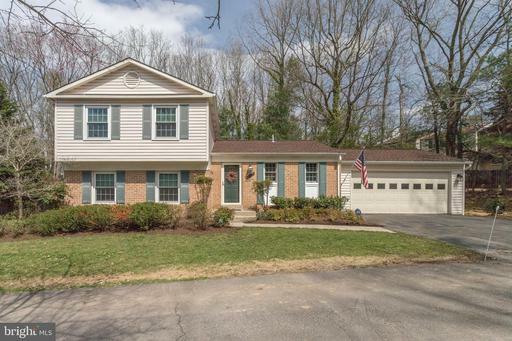 Other highlights include a finished walkout basement with a full bathroom, New interior paint, and all new windows throughout the entire home, custom closets, custom landscaping. 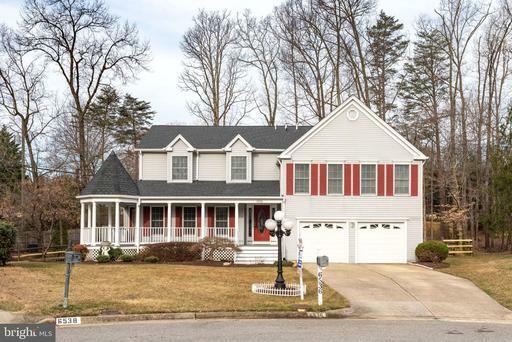 Burke Lake Park is across the neighborhood as well as a golf course, dont miss out on this one! 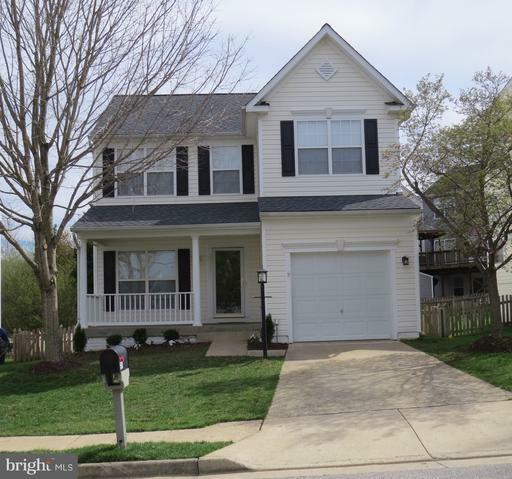 Beautiful 4 bedroom, 2.5 bath home in sought-after Cherry Run. 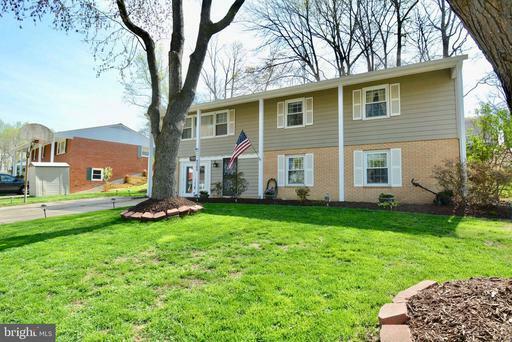 This lovely 3-level home is situated on a quiet cul-de-sac. Enjoy a cup of coffee on the porch in the mornings or a BBQ on the expansive deck overlooking the large fenced backyard and wooded area. Enter into a welcoming foyer with granite floors and into the large, light living room with hardwood floors. Flowing from the living room into the dining room and updated kitchen. The kitchen has stainless steel appliances and granite countertops floors. 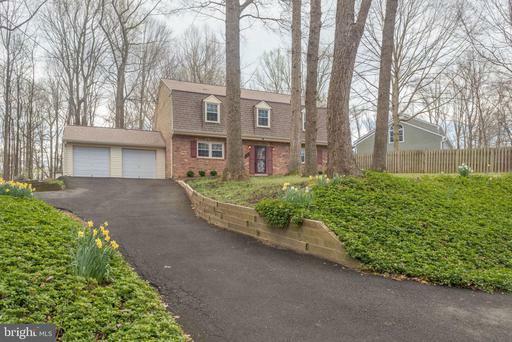 Also on the main level is a powder room and a cozy family room with a wood burning fireplace, skylights a sliding glass door onto the deck.Finished walk-out basement has a recreation room, den, and separate laundry room. 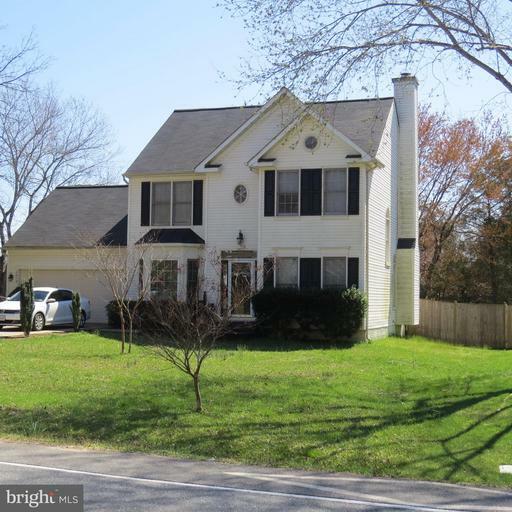 No HOA yet the neighborhood is tight-knit and there are many activities year round including an annual Halloween parade attended by many.Fantastic location: close to 495, Fairfax County Parkway, VRE, Burke Lake Park, Springfield Golf Country Club, shopping, restaurants and more. Easy commute to Ft Belvoir and to the Pentagon. 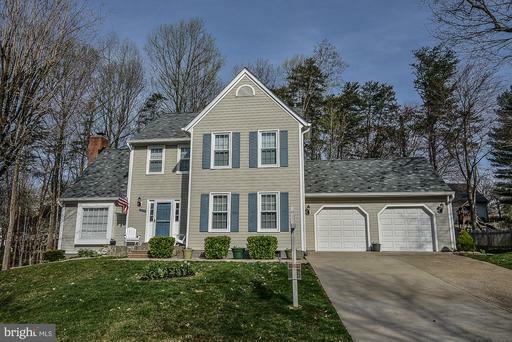 Wonderful lot backing to the ball fields in Aquia Harbour. Perfectly flat yard. Easy parking. Fully fenced backyard with large patio.Great first floor with living room,dining room,family room and great open kitchen.Close to the gate for an easy commute.Riding stables,marina with Aquia Creek navigable to the Potomac River.Golf membership available,Neighborhood also has tennis, basketball courts, ball fields,tot lots. Their own security officers and Fire and Rescue. 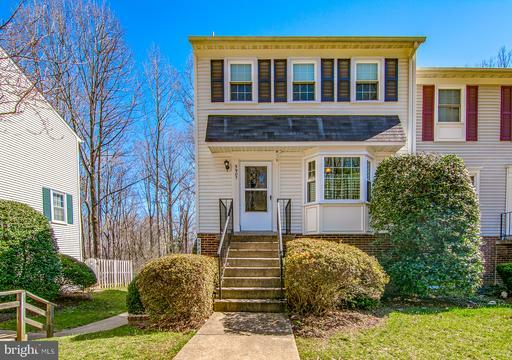 Shopping, restaurants and close to Quantico and the HOV lanes. You are going to LOVE this house! 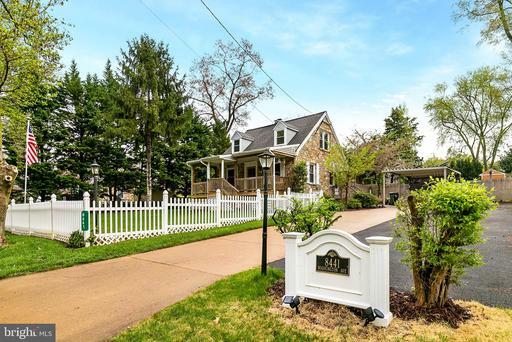 Gorgeous, light and bright, a south-facing premium Colonial on a wonderful corner lot in one of Burkes most sought after neighborhoods: Signal Hill. 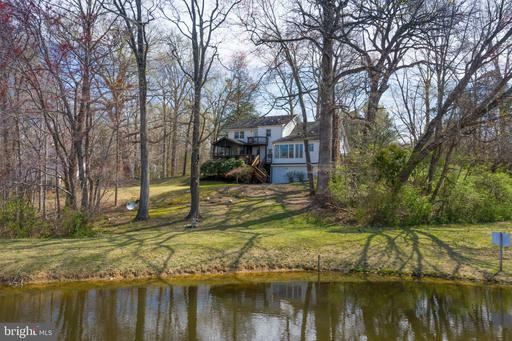 This property is less than 3/4 of a mile from Lake Braddock Secondary School. 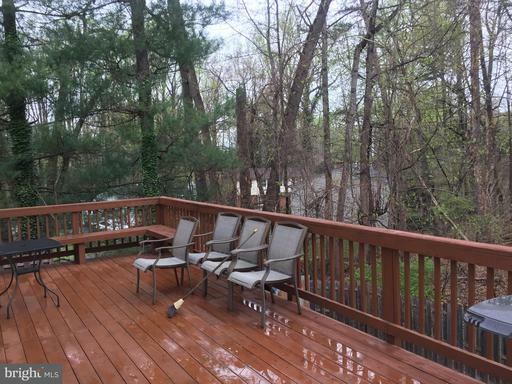 Central location on the premier promenade of Lake Braddock Dr provides vibrant and delightful interactions with neighbors. ***DONT MISS the virtual tour click the camera button at top ***Impeccably maintained! VERY LARGE for this area: almost 3,000 finished square feet with RARE THREE FULL BATHS and FIVE BEDROOMS ON UPPER LEVEL! Luxury Master Suite w/separate sitting room or office nook. Rooms and closets are generously sized. Extra/fifth bedroom over garage is 16 ft square with ensuite bathroom... and would make an AWESOME den/playroom for ping pong, games, etc - EVEN BETTER having it on the top floor with windows and close to the bedrooms! ***Glorious gas fireplace in family room for cold winter nights. Bump out in kitchen eating area is unique and provides loads of extra space, no cramped feeling here. Main floor laundry. 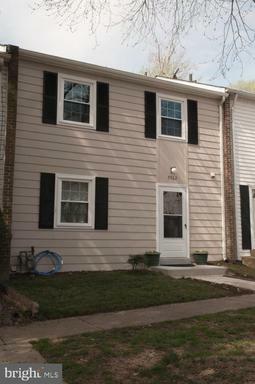 Replacement windows keep sounds out and heat/cool in as appropriate. Freshly painted. Another rarity, a humidifier and air cleaner have been installed for superior air quality. Stove could be easily reconfigured for gas, if desired. 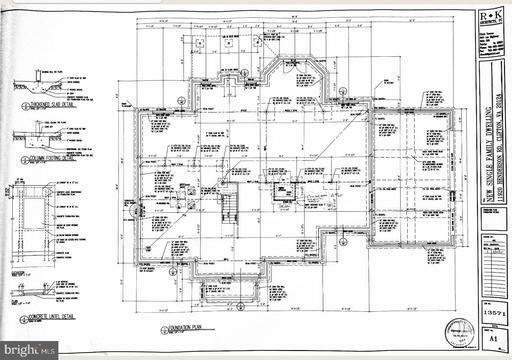 Large unfinished basement has a workshop, provides plenty of storage, and is ready for you to finish to your specs. Wired for Cox. Elegant hardscape for back patio. Professionally landscaped, mature trees and shrubs, with drip irrigation system. ***Metro Bus Routes 17G and 17H are less than half mile for Pentagon commuters, and Burke VRE is less than 1.5 mi for others going into the City. Low HOA of $140 annually. Nearby pools offer memberships: Lakeside lake Braddock and Olley, Lake Braddock 9528 Ashbourn, and Parliament 851.0 Parliament. 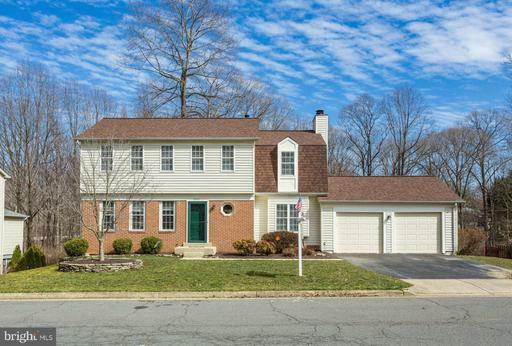 Beautifully updated home with contemporary open floor plan. 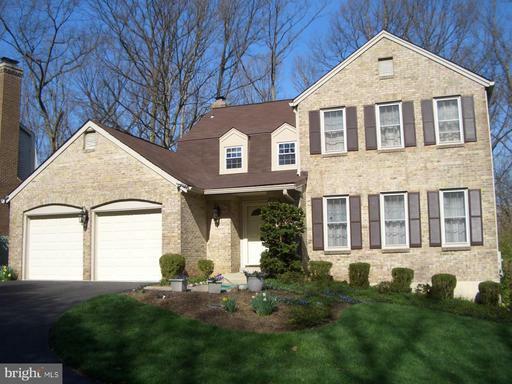 Stainless steel, granite, designer recessed lights, hardwood floors with a two car garage on a gorgeous private lot. Brand new roof and carpet! Secluded lot perfect for your chalk artist to draw or learn to ride their first bike. Walk to the VRE. Open Sunday 1-4. 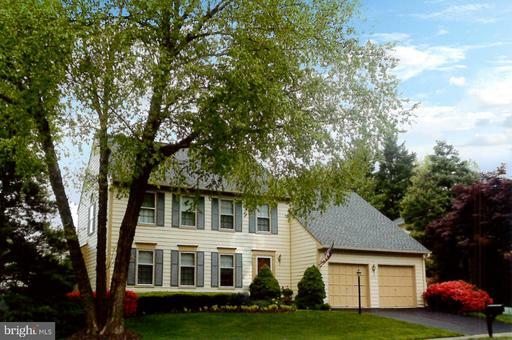 A NEWLY UPDATED 5bed 3 baths split foyer nestled in a cul-de-sac, Prettiest Pond view in Burke Centre. Backs to common area, this home offers updated kitchen, fresh paint, new hard wood flooring new carpet, a deck and a fenced back yard. Close to: Jogging/ walking paths, elementary school, pools, basketball courts, tennis courts, playgrounds. 5 minute drive to Burke VRE, 1 block to bus stop, 3 blocks from Terra Centre Elementary, 3 blocks to Shopping and Restaurants. For less than the a townhouse!!!. A sure must see! Welcome Home! Completely refreshed and upgraded single family in sought after Burke Centre community backs to trees and walking paths! Bright and sunny main level has fresh paint, upgraded flooring and new fixtures throughout! Beautifully upgraded eat in kitchen with granite countertops, white cabinets and stainless steel appliances. 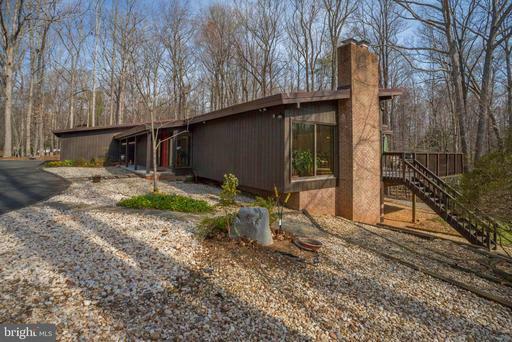 Family room off kitchen with wood fireplace and access to large deck overlooking mature trees! Master suite with updated bathroom with granite counterop. Three large bedrooms and upgraded full bath with new vanity! Enjoy added living space with spacious walk out basement rec room and large laundry room with front loading updated washer and dryer. Brand new siding and roof! The Burke Centre community features 5 pools, tennis courts, many walking trails and the home is across the street from Lake Barton! Shopping within minutes and VRE/Metro Bus provides easy access to the Pentagon and DC! This home is truly a must see and wont last long! Its Timeless! Fresh paint, updated baths and kitchen, hardwood flooring, big finished walk out basement, Private wooded lot but but easy access everywhere! 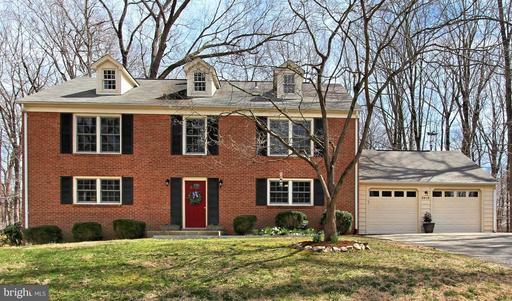 This classic 4 bedroom 3-1/2 bath Colonial with a two-car attached garage is located on a 2.99-acre lot in the rolling equestrian countryside of Fairfax Station, Virginia ~ just outside the beltway of Washington, D.C. Its meticulously maintained and spaciously appealing with approximately 3,500 square feet of well-designed living space on three levels. 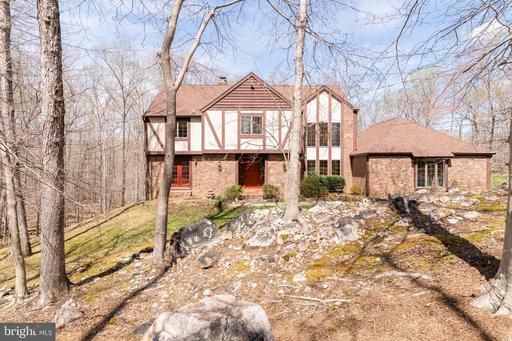 This beautiful home features two 2 masonry fireplaces one with gas insert, a spacious Family room with french doors to an entertainment deck and wooded private yard, plus, a finished walkout basement to fenced area and wooded backyard. Granite Kitchen, Huge Master Suite with Sitting room and Workshop! 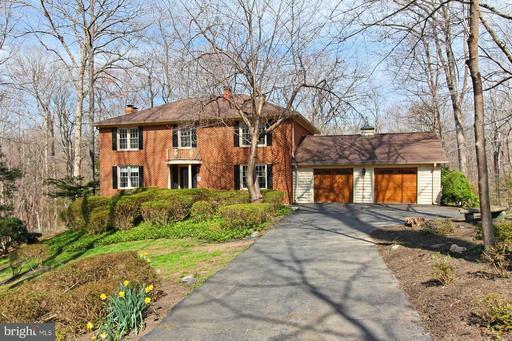 The private mature setting and yard will appeal to the most discerning buyer. 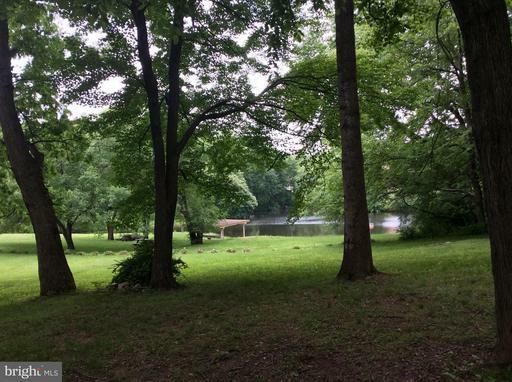 Close to Fountainhead Park for rowing, biking and hiking- Great Location! 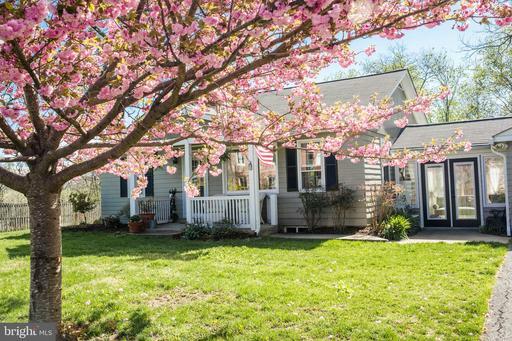 With the nearby commuting corridors of I-95, Route 66, Route 123, and the Fairfax County Parkway, it is an easy commute into DC and throughout Northern Virginia. Equidistant to Reagan National and Washington Dulles Airports. Plus, the Springfield Metro/VRE and the Burke VRE are close by. You will love coming home to this peaceful and tranquil oasis, a retreat from todays hectic lifestyle! 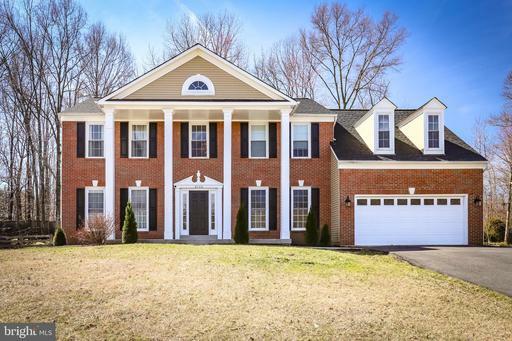 Extraordinary, former model home built by Kettler offering 4 Spacious bedrooms 3.5 baths-Stunning Colonial home w/ contemporary flair skylights, cathedral ceilings, open concept living areas more! 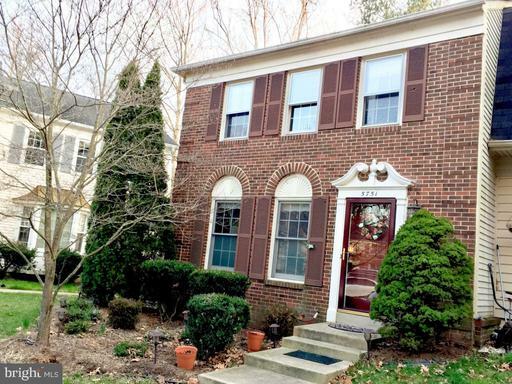 in pristine condition -Dramatic 2 story entryway with ceramic tile flooring upgraded half bath w/ granite counter top!Elegant formal living dining rooms with 3 and 4 windows in each, 2 box bay windows in each, custom moldings lovely chandelier. Gleaming hardwood floors on both the Main and Upper levels. 2 laundry areas one on bedroom level one in unfinished storage area in basement Open concept floor plan has wonderful flow for entertaining from kitchen to breakfast Room into Family Room with walk-out to deck. Stunning, remodeled kitchen features upgraded cabinets with crown molding, granite counters, luxurious granite sit-up bar peninsula ideal for buffets and breakfast! built-in desk w/ sorter cabinet, double sink, large pantry, window box for indoor garden gleaming hardwood floor! Relaxing family Room has distinctive floor-to-ceiling corner windows, custom fireplace mantel, ceiling fan, sliding glass doors to private sundeck with tall cypress and hedge buffers in backyard, and access to the 2-car garage. This home has one of the best master suites I have seen in Burke-Incredible Master Bedroom suite with His Her Closets one big walk-in and a Soaring Vaulted Ceiling, Palladian window, 4 floor-to- ceiling windows, 2-sided fireplace between Master Bedroom private Sitting Room/Den with cathedral ceiling. Fantastic Master Bath features a linen closet, spacious dual vanities with granite, recessed lighting, a floor-to-ceiling window, separate tub Shower, private Toilet Room with a window and door. Secluded Guest Suite with skylights, sitting area, 2 closets 2 lighted deep Storage spaces. 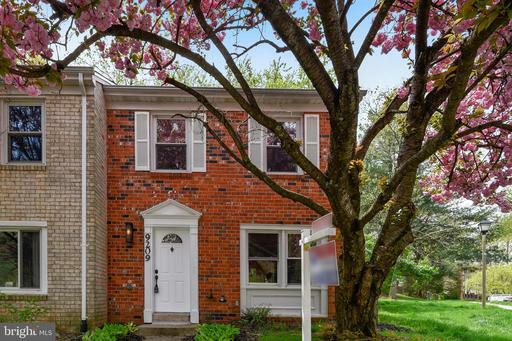 Spectacular finished lower level doesnt feel like a basement because it is so light bright with 2 exits that walk straight out to a lovely, flat backyard lined with trees for privacy playtime! Bonus-Fully finished garage used to be builders office so lots of lighting, chair rail, numerous outlets exit to side yard. Excellent location: Mins to all commuter routes Express bus stop to Pentagon a short walk away, Rolling Rd VRE Station, I-495 more, Easy commute to George Mason University, NOVA community college, historic city of Fairfax, Whole Foods, restaurants lovely parks closet by Burke Lake Park, Lake Braddock Park Wakefield Rec center much more! 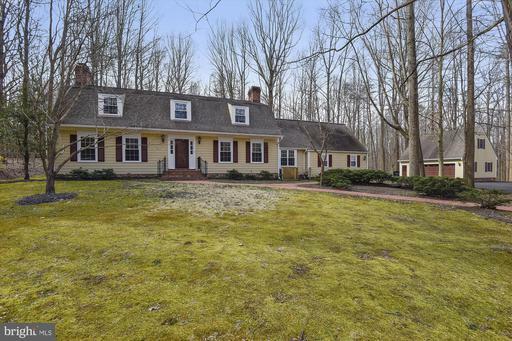 Back on market just in time to enjoy the unfolding of spring in the wooded common area from the wonderful screened porch and huge deck. 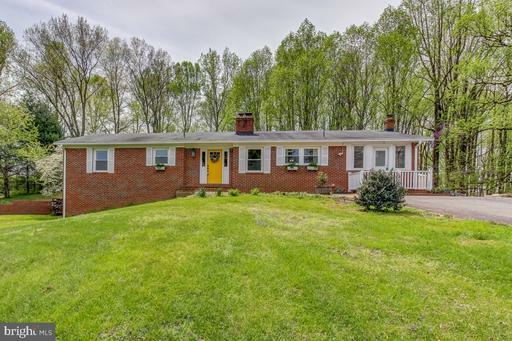 Impeccable Stanley Martin Home w/screened porch, tiered Deck w/HotTub finished walkout LL is ideal to entertain large groups is warm intimate for everyday living! Grand Open Foyer! Custom moldings! Hardwoods on Main Lvl! Skylites Vaulted ceiling in Family Room w/Fireplace Palladian door to Deck! Top appliances in Updated Granite Kitchen SGD to Porch! Grand UL Master Suite! Updated FBAs! ..... Located in the distinctive, wooded community of Canterberry, this impeccable Stanley Martin built Rosewell model is a real gem! Boasting approximately 3900 square feet of quality living space on three finished levels, this large, well-designed 4 bedroom, 2 1/2 bath home offers everything the most discerning buyer is looking for, and more. Perfectly sited in a park-like setting on a .57-acre lot, this home features a beautifully groomed and landscaped yard with a tiered entertainment deck with hot tub, comfortable seasonal screened porch and walkout finished basement. The serene flow of this large home makes it wonderful for entertaining large groups yet it has the warmth and intimacy desired for everyday living. You will want to make this house your home, to enjoy this peaceful and tranquil retreat from todays hectic lifestyle! The wooded, well-groomed neighborhood of Canterberry offers a true respite from the hustle and bustle of todays hectic lifestyle. Golf, jog, fish and enjoy the beauty of nature at Burke Lake Park Golf Course, just two minutes away. 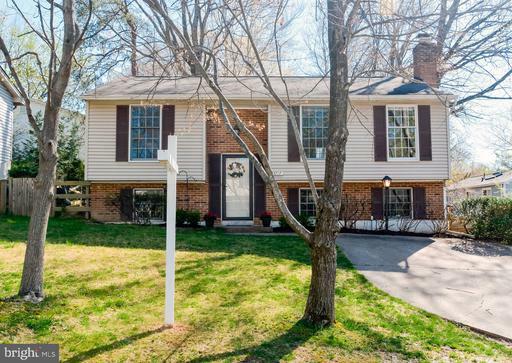 For easy travel into DC and throughout Northern Virginia, enjoy convenient access to the nearby commuting corridors of Interstates 95 66, Route 123 and the Fairfax County Parkway, and the Springfield Metro and Burke Virginia Railway Express VRE are both just minutes from this home. Start planning your move to this Dream Home today! **PRICE REDUCTION!! **LARGE 5 bed/3.5 bath 2 car garage house in the heart of Burke Centre!!! 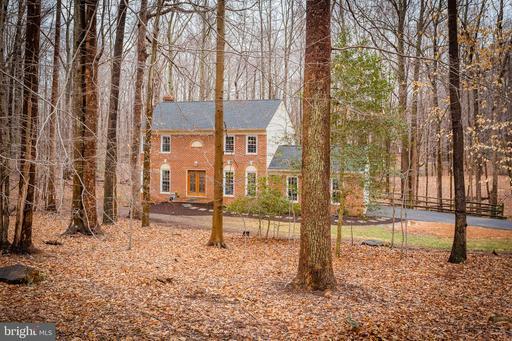 VERY private pipe stem/cul-de-sac lot backing to woods/trails. 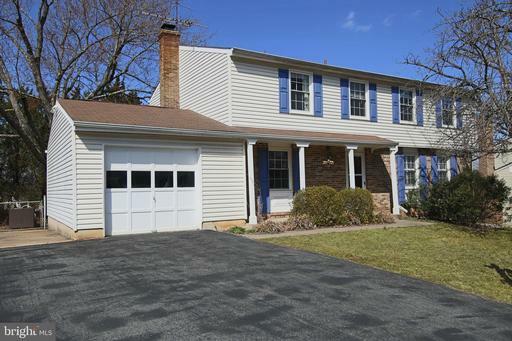 Updated throughout w/granite, cabinets, hardwoods,spa-like baths. Large open rooms with lots of light. 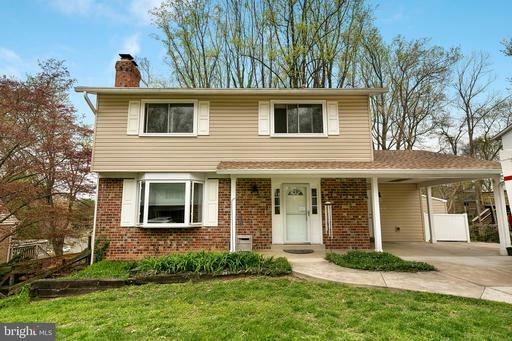 Brick fireplace and full basement w/bedroom/full bath, rec-room w/bar. 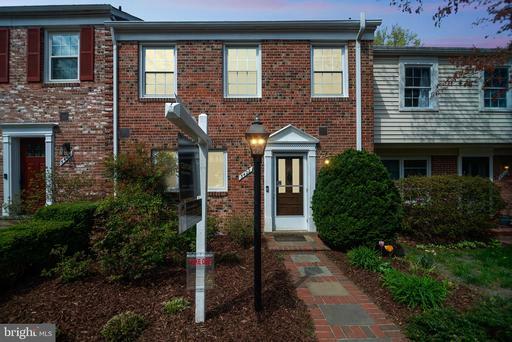 Super close to VRE and bus stops, tons of Burke Centre community amenities pools, trails, tennis and basketball courts, ponds, playgrounds and much more. Plenty of shopping, restaurants, grocery stores, Walmart, gas stations, etc. This home is a MUST SEE!!! 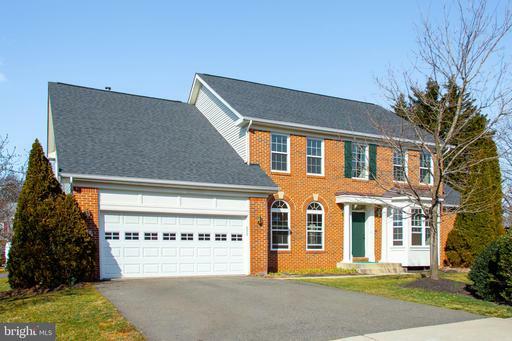 Priced @2018 FairfaxCtyAssessmentSpecially designed contemporary on cul-de-sac; lots of light with multiple skylights throughout. Anderson windows and sliding patio doors, mostly replaced. 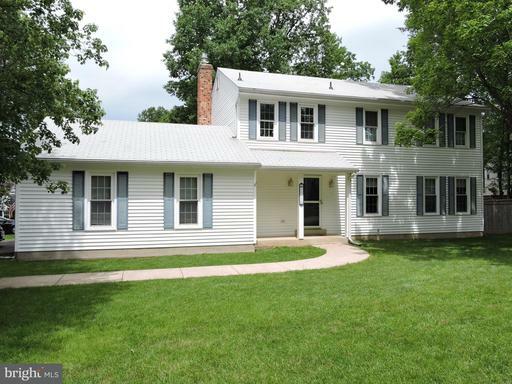 Addition includes extra-large 2-car garage with work area, parking, pad spacious family room, and office. Lots of storage! 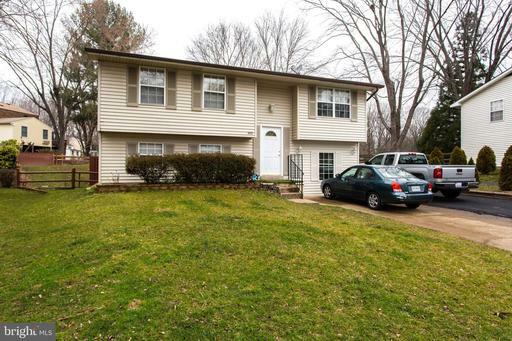 Convenient to major commuting routes, shopping, dining, with proximity to Burke Lake Park. A/C 5 ton. Sale subject to encumbrances in the public records. Wood stove insert will not be removed, conveys ~as-is~, fan is not working. Addition constructed in 1988. Additional pad parking outside garage.